Philosopher, journalist and adult human in training. Some of the Gold Coast's best kept dining secrets are hidden in plain view. Hidden Perk is certainly one of them. 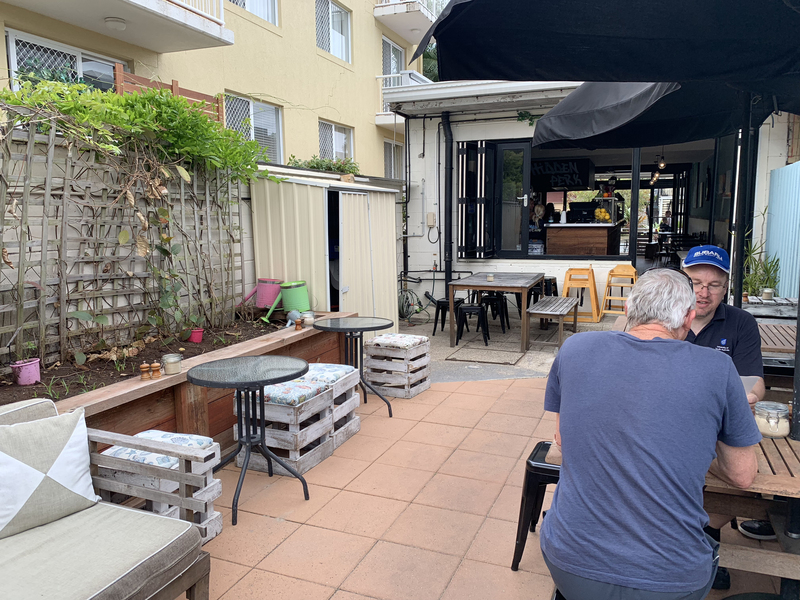 Nestled in a cosy string of shops, just off the Gold Coast highway near Tallebudgera Creek, this cute little coffee shop holds a bounty of unexpected treasures for those who stumble across it. The first of these is the flock of warm smiles you'll be greeted with by staff as you enter. From here, the delightful surprises continue to roll in. As you crane your head, wondering which set of seats to choose, you'll notice a hint of greenery and flickers of dappled sunshine towards the back of the cafe. Following your instincts will lead you to a lovely little outdoor area complete with comfy seats and big umbrellas to protect you from the blazing Queensland sun. The happiest treat of all is, of course, the arrival of your food. The Hidden Perk chefs are all about healthy portion sizes and beautiful presentation. In my time as a Tallebudgera local, I've enjoyed more than my fair share of smashed avo creations, each one completed with a beetroot garnish that is as delightful for the taste buds as it is for the eyes. I'd love to tell you I've adventured through their whole menu but, in all honesty, once I discovered how banging their acai bowls are, nothing could coax me away. I have a weakness for acai that, when combined with good coffee, runs something close to a problematic addiction. Hidden Perk offers a range of milk alternatives for your coffee and is one of the few cafes to have sourced an almond milk that doesn't taste like wet cardboard. Their acai bowl is next-level. 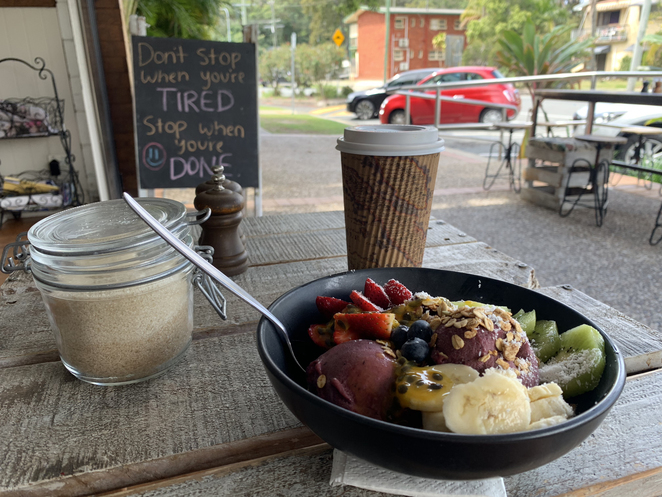 The acai itself has the texture of a creamy sorbet and they load it up with passionfruit, coconut, kiwi, banana, strawberries (the pin-free variety), blueberries and a smattering of crunchy muesli. The array of fruit gives every bite its own unique flavour profile and they don't overdo it with the muesli. Acai isn't hard to make, but perfecting it is something of an art form. One which Hidden Perk has definitely mastered. 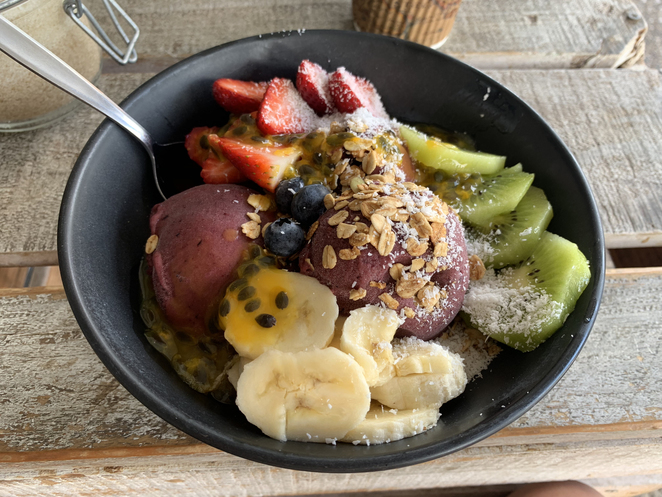 The açai bowl looks delicious and very filling. That is a lot of fruit in one sitting.